Have You Head About Parent Club? Campie’s Parental Engagement Group have been researching lots of different websites and have come across Parent Club. It’s an amazing place filled with amazing life hacks , including: help with learning, healthy eating or just some top tips for daily life. Also, check out our Useful Information section for other worthwhile links. East Lothian 1st Response offers support to those in distress or in crisis. They provide face-to-face support throughout East Lothian, Monday – Friday. Are you a P5 child or parent/carer of a P5 child? 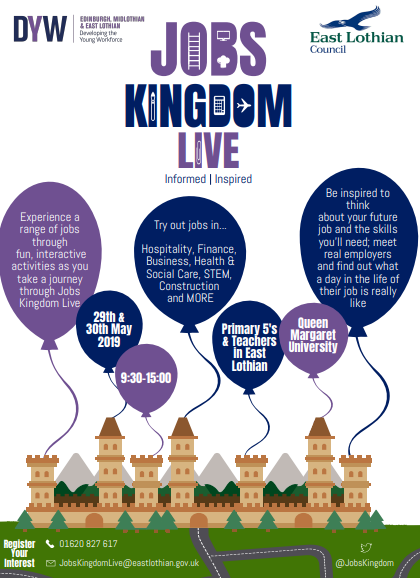 You may be interested in attending the Jobs Kingdom Live event in May 2019. Campie is always looking for ways to improve the way we get in touch with parents and carers. Be sure to complete a Parental Engagement survey when you come for your parent evening appointment. 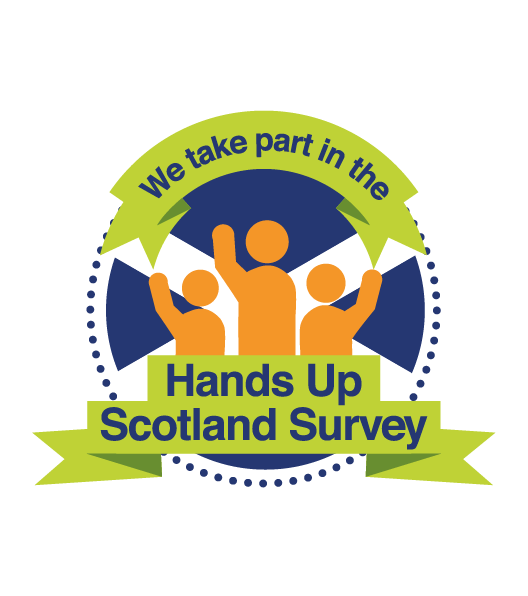 Alternatively if you can’t make it or prefer to do surveys online please visit our Parental Engagement Survey link. Please open the link to find out more about this session’s improvement plan. On 2 July, the SG published the consultation on Progressing Children’s Rights in Scotland – An Action Plan 2018-21. The link below will take you to a shortened version of that consultation, designed for children and young people. Just to let you know that there will be no Traffic Guide at the High Street/Neuk tomorrow and Thursday (15th and 16th August). Fortunately, there are pedestrian lights at this location.